Event cancelled – but a 29€/Day POWDER & PARK Special for the “FALL FINALS Weekend” and fresh POW POW instead! 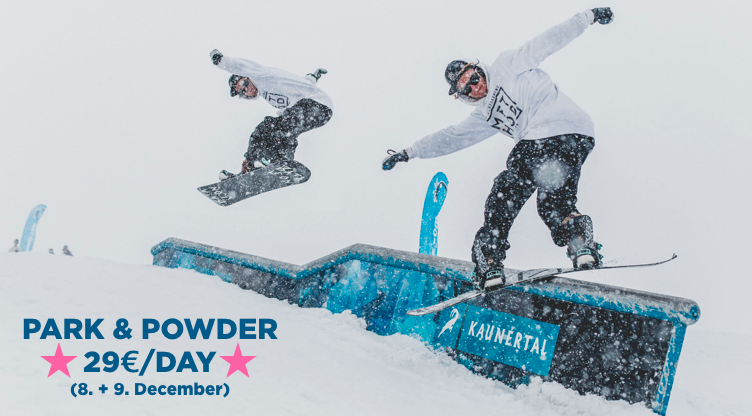 Weather is not on our side for the FALL FINALS Event with “Snowpark Törggelen” and “Cash 4 Tricks Session” this weekend so we had to cancel it. But we will host a nice BBQ and the next “Kaunertal Rail Masters”at Spring Classics 2019 instead of… ! Stay tuned for the awesome #NATURERUN preview for Spring19 coming next days on all our channels! Until then – Enjoy the first POWDER and stay safe!